TOAST UI Grid 3.0: A Powerful Data Grid Control — Another great piece of work from NHN who also produced an image editor we linked last week. This data grid component works down to IE8, with many data types, and is easily rethemed. 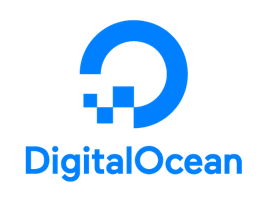 Try DigitalOcean and Get a $100 Credit on Us — Save up to 55% compared to other cloud providers and start building, deploying and scaling better web apps. The Future of WebAssembly: A Look At Upcoming Features and Proposals — WebAssembly is a binary instruction format that runs at high performance in all major browsers. It’s still relatively new though and a work in progress. This post looks at WebAssembly’s roadmap and the features it could gain in the near future. Two-Factor Authentication Protection for npm Packages in Beta — As a follow up to the eslint-scope npm problem we covered last week, you can now test two-factor authentication protection for individual packages in the npm Registry. Build an Instagram Clone with Vue.js and CSSGram — CSSGram recreates Instagram-style filters using CSS filters and blend modes. Designing GraphQL APIs — A tutorial built at Shopify (initially for internal use) based on lessons learnt creating and scaling schemas on GraphQL APIs at Shopify. 15 HTML Element Methods You’ve Potentially Never Heard of — The DOM is full of delights, some of which David pokes at here, including scrollIntoView, getBoundingClientRect, and select. Recreating Reddit’s Voting UI in Vanilla JS vs React vs Vue vs Hyperapp — A comparison hoping to ‘shed light’ on the purpose of using frameworks. ▶ Pushing the Limits of the Web with Angular — Showing off some of the newest capabilities of Angular. How Fast Can You Learn React? — ”..learning React is about as easy as teaching a parrot to talk”. — Oh, and if you are starting to explore React, we have a newsletter for that ;-). localForage: Offline Storage, Improved — Wraps IndexedDB, WebSQL, or localStorage using a simple API. Polly.js: Record, Replay, and Stub HTTP Interactions — Polly taps into native browser APIs to mock requests and responses.